In this podcast lesson, ICIP instructor Bruce Sinclair discusses why IoT data-driven marketing is key to the product roadmap discussion and how it can be used to maximize success. The internet of things provides a window into your customer's world. This 24/7 connection with the customer is a marketer's dream -- and, better yet, it's quantified with data. Welcome to the world of IoT data-driven marketing. Data-driven marketing begins with building and analyzing models, namely usability models, to learn how consumers use products; utility models, to learn what the products are being used for; and performance models, which can help improve product efficiency. These models are integral to product roadmap discussions -- which can often become heated affairs between marketers, product management, engineering teams and others involved in the conversation. However, data from a connected product can help streamline and simplify discussions as all discussing look at the same information and are on the same page. In this excerpt from the IoT-Inc. Certified IoT Professional (ICIP) training program, instructor Bruce Sinclair discusses this new paradigm of digital transformation in marketing and explains why organizations using IoT data-driven marketing have a higher probability of getting connected products right. Listen in as Sinclair discusses how IoT and digital transformation in marketing influence inbound and outbound marketing. Whereas inbound marketing quantifies the data, Sinclair explains, outbound marketing qualifies it to produce accurate communications, allowing hyper-personalized and contextual marketing to replace static, interruptive marketing. Also get insight on how data helps companies better understand the value products give consumers, allowing the data-driven organization to then get the product right and effectively communicate its message to its prospects and customers. This is a win for the company, as it can more effectively use its marketing resources and strengthen the brand-consumer relationship, and a win for customers, as they'll get the personalized experiences they always wanted. The ICIP IoT training program aims to help professionals solve the most pressing challenge of IoT: creating a positive ROI and profitable business. 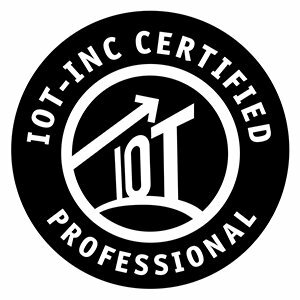 Learn more about the ICIP IoT training program. How does your organization use IoT data-driven marketing?